•	Old cans, tyres, coconut shells, bottles, paper cups lying in open, etc. •	Old non-functioning fountains, bird baths, ornamental pools, etc. The water collections should be visually inspected for the presence of mosquito larvae and pupae. These can be seen in the figure below. 2. Ponnuraj S. Vector control. In: Manual on Water and Environmental Sanitation for Disaster Management. New Delhi: WHO; 2006. 3. Park K. Medicine in social sciences. 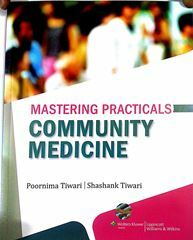 In: Park’s Textbook of Preventive and Social Medicine, 24th ed. Jabalpur, India: M/S Banarasidas Bhanot Publishers; 2017.